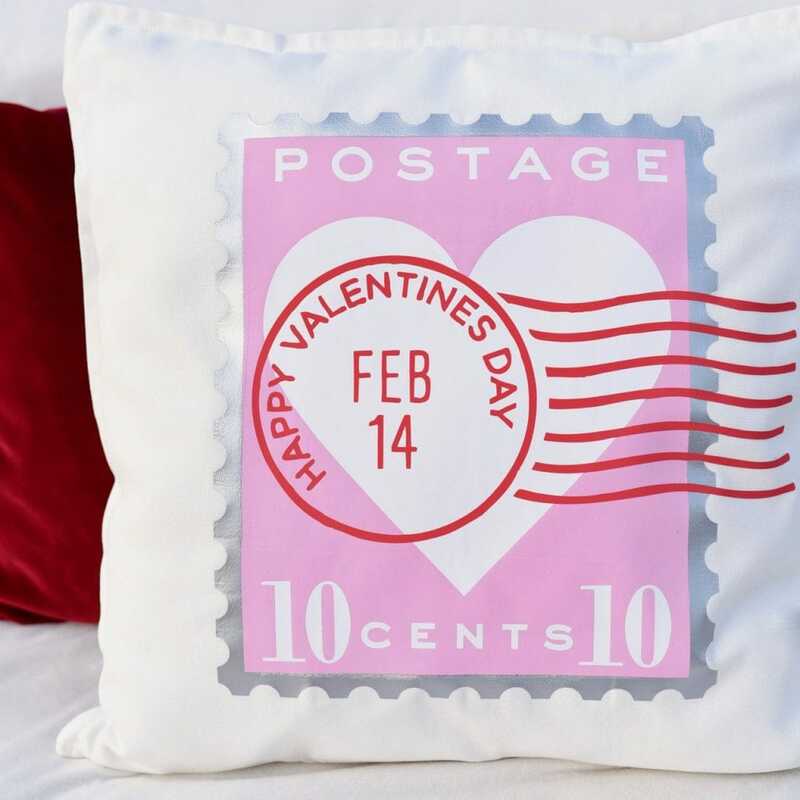 Friends and family won’t believe you made these valentine pillow covers yourself! 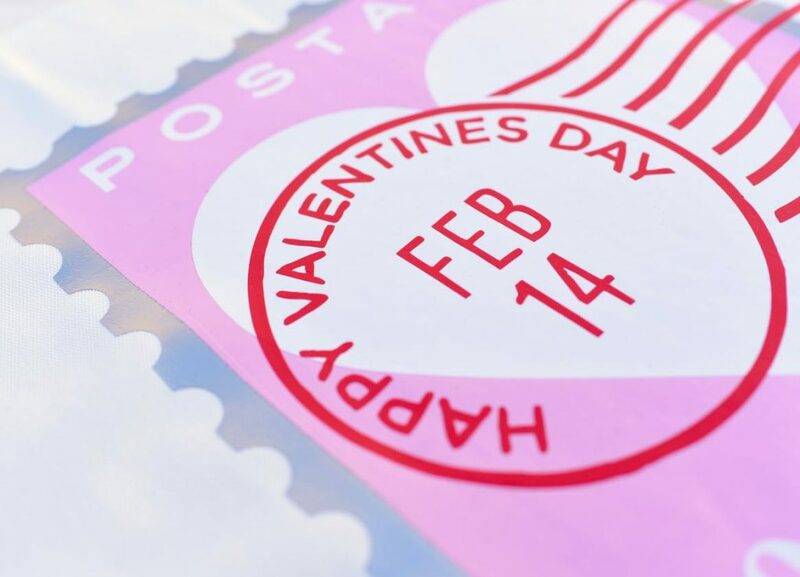 Get the simple how to and lots of photo instructions for making your own easy Valentine throw pillows with a Cricut machine. 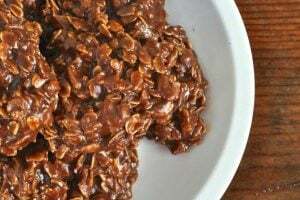 Growing up, I couldn’t wait to visit my grandma and grandpa’s house. No matter the season, my grandmother always decorated each table and counter impeccably for each upcoming holiday. My favorites were the pretty ceramic bunnies for Easter that sat alongside ceramic cabbage bowls. As a child, I was in awe of each little figure and piece, and couldn’t wait to see what she came up with for the next holiday. Taking my sweet grandmother’s lead, I also love decorating for each season. Pulling out the special decorations that only come out once a year and placing them ever so carefully in just the right spot is so fulfilling and rewarding to me. My Valentine’s Day decorations are few, so this year I decided to make pretty Valentine’s Day throw pillows. And when I say “make,” I mean decorate store-bought pillows that are already sewn together. All I had to do was to embellish. No sewing required! Keep reading to see how to make your own valentine pillow covers. 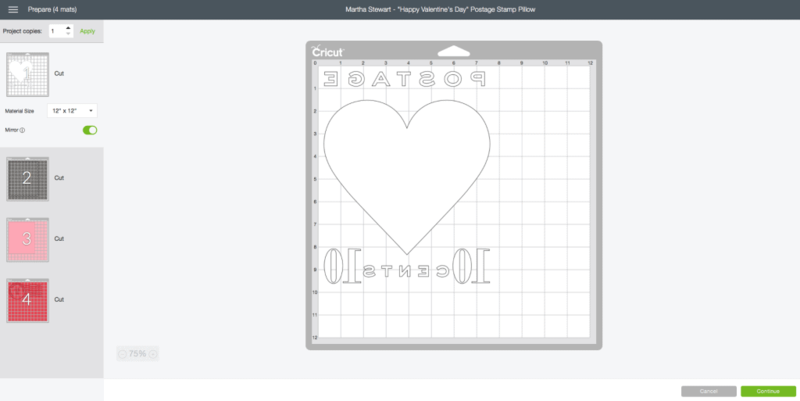 Go to Cricut Design Space and load the valentine pillows cut file. This design size is based on using an 18″ x 18″ pillow cover, so if your cover is smaller or larger you will need to adjust the size. Press “Make It” in the bottom right hand corner. At the top left make sure that you mirror your design by sliding the slider so that it’s green and your design is turned backwards. This will ensure that your design is facing the right way when you iron it. Load a StandardGrip Mat with white Iron On so that the shiny side is down. Press “Continue,” choose “Iron On” as your material, then click the flashing arrow button to load your mat. Start the cutting by clicking the flashing “C” button. Once the design is cut, press the flashing arrow button to unload the mat. 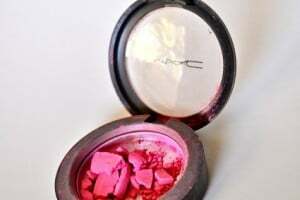 Repeat this step with the pewter, pink, then red iron on. Use a weeder tool to remove the excess vinyl from around your designs. Leave only the vinyl that will go on your pillow on the plastic sheet. You will be layering the vinyl onto the pillow, so the steps are a little different than doing iron on the regular way. 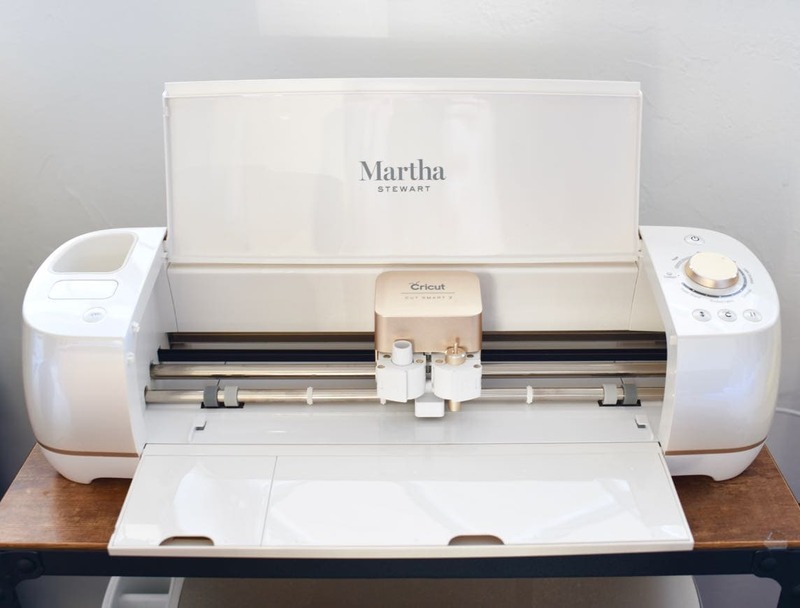 Apply the iron-on layers to your project using a Cricut EasyPress™ and Cricut EasyPress Mat with the Interactive Guide for the perfect time and temperature settings. 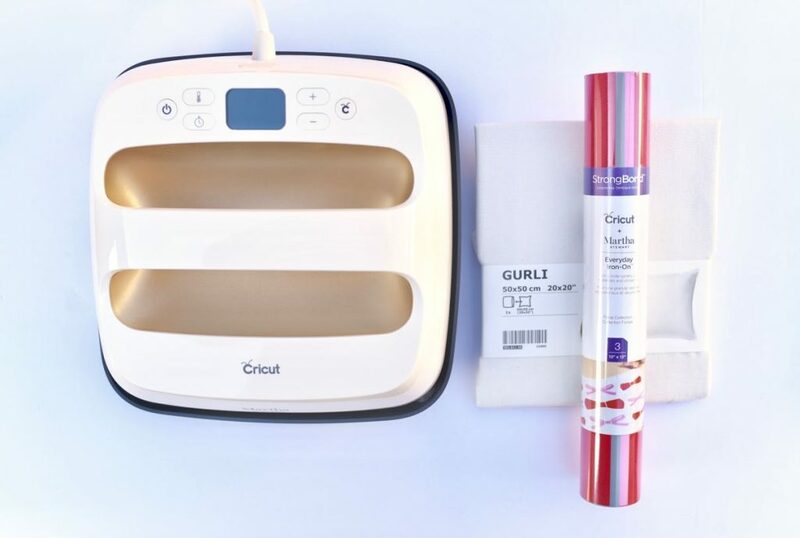 You can also use a household iron or heat press and a press cloth, but I find that I get the best results with my EasyPress 2 and EasyPress Mat. I have a few different EasyPress machines, but my favorite by FAR is my Martha Stewart EasyPress 2 from Michaels. It’s gorgeous! I get professional iron-on results in less than a minute. It’s also portable and so easy to store. 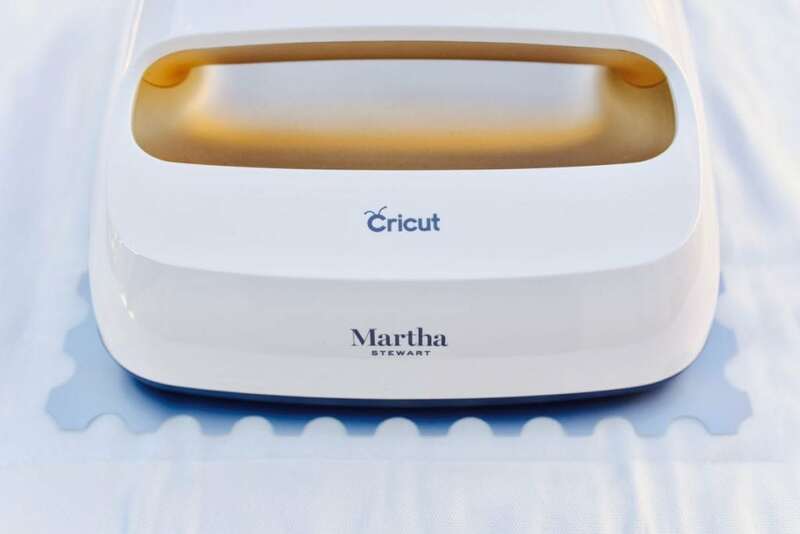 Because you are using layers, you will need to follow these helpful directions from Cricut that explain the layering technique and how much time each layer needs. Make sure you follow their guidelines to get the best results! You will work in the same order they appear in the layers panel, starting from the bottom layer and working up. Helpful Tip: My biggest piece of advice for you is to make sure that the entire Iron On is covered with the plastic liner before the EasyPress or iron goes over it. If you miss a spot and put direct heat right onto the Iron On without the plastic, it will ruin your pillow! Just keep reusing the plastic that you peel off each layer to cover the rest of the design and protect your Iron On. Isn’t the finished Valentine’s Day pillow incredible? I love all of the different colors and layers. It adds so much dimension and makes the pillow look like it was store-bought! 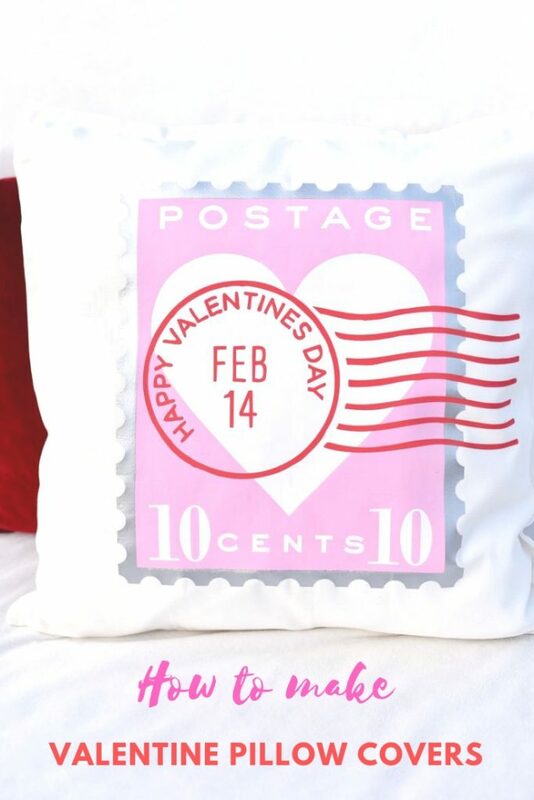 This valentine pillow covers design was one of many projects in Cricut Design Space that is already pre-made for you. You can either customize it or make it as is for a quick and easy project. 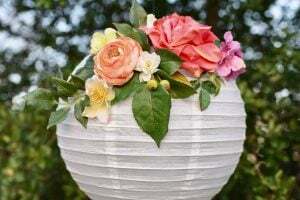 This project is one of the Martha Stewart projects in Design Space. All of her designs are so classy and cute. You just can’t go wrong with any of them! 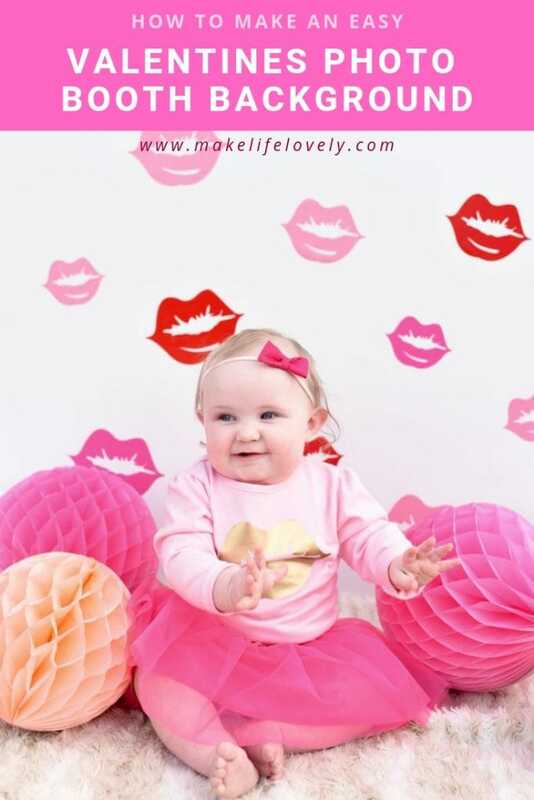 Can you believe I made a darling Valentine’s Day backdrop for a photo shoot with my baby girl with my Cricut machine? SO much cuteness in one photo! I also used Cricut Iron On to make the lips on her shirt. I’m a bit obsessed. Just click the link for the cut file + directions.